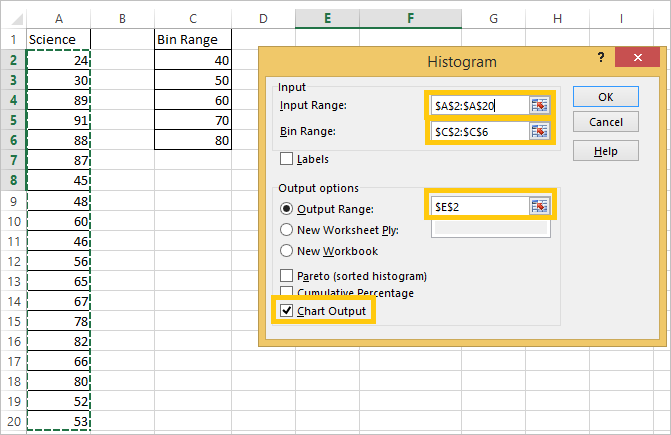 The data we use for creation of Histogram in Excel is shown below. 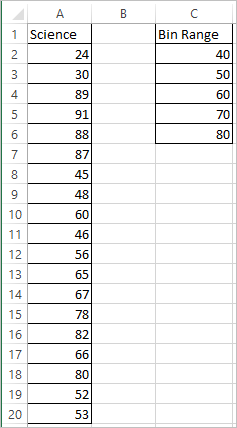 The data represents the score of students in the science subject. 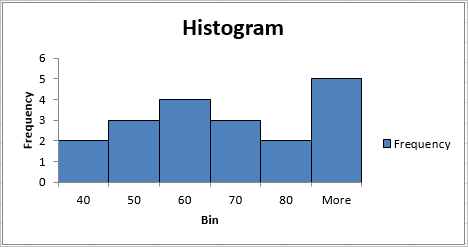 We have also created the bins based on which the histogram is created. Step 2: Select Histogram and click ok. 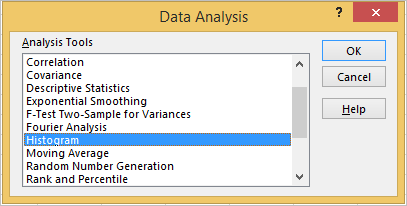 Step 4: Remove the space between the bars Right click a bar, click Format Data Series and change the Gap Width to 0%. Step 5: Add the border – Right click a bar, click Format Data Series, click the Fill & Line icon, click Border and select a color.